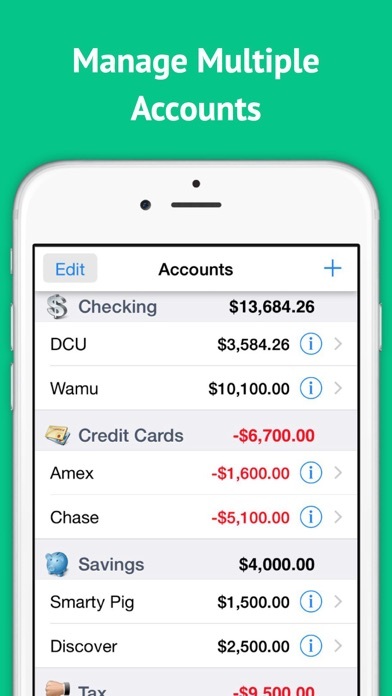 Great app for tracking checking accounts, savings, credit cards and other revolving credit lines. Know exactly how much you have to spend at a moments notice. Works perfect with no issues or bugs. Makes balancing your accounts quick and easy. Automatically does the math for you! 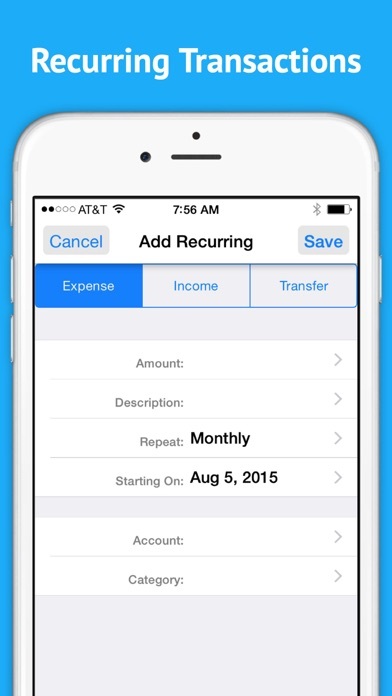 Set up recurring payments and those amounts are automatically deducted on the date you set so you never forget! The spending reports are a nice feature. See where your money is going. Instantly updates and eliminates mathematical errors. So happy that I found this instead of a traditional checkbook. 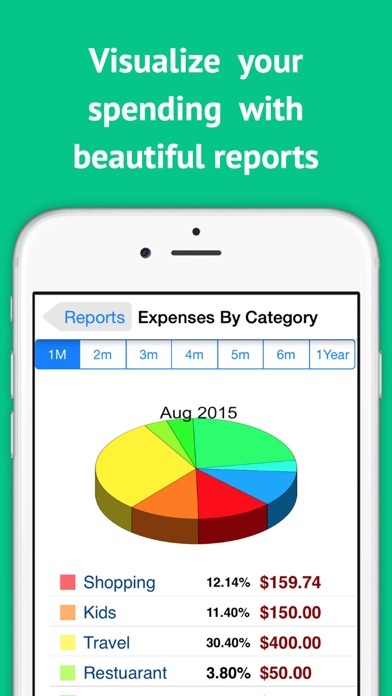 If you are old school and like to keep a checkbook, this app is for you. Easy to use. I have been using it for about a week now and am loving it. 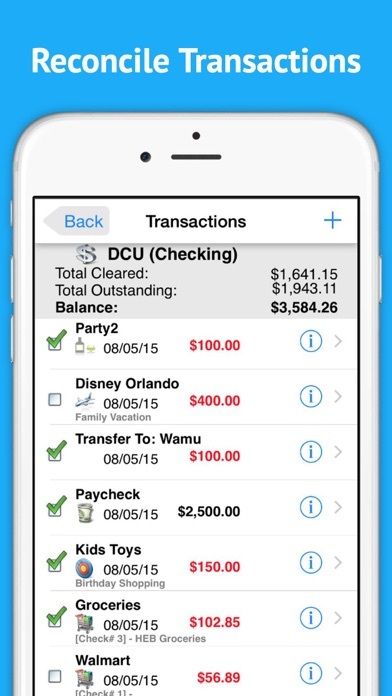 Best checkbook app. Great App, Great Price! Will it Hang Around? Been using this app since late 2017. Used 2 other “register” apps prior, and they BOTH became obsolete with no updates and Apple’s constant software updates. The last time I had to swap apps, I lost a huge amount of proof of purchases because my phone wouldn’t even open it enough to back it up. Every time I tried, I got this “not supported, please update message”, yet there were no updates. I paid for all of those apps, then to lose all my information because they weren’t updated to compatibility with iOS. Now, I love this register. It’s the best one I’ve used so far. I hope the devs will be able to keep it going, although I usually run several iOS updates behind, there always comes a point when I’m basically forced to complete an iOS update, and I don’t want to lose all my financial info in the process. I used the free version of this app for a while and it worked pretty good. So I upgraded to use multiple accounts. Problem is recurring transactions take days or weeks to auto enter themselves and it really throws off my accounting. These Developers do not keep up with the apple updates and It shows badly. Moving on! I downloaded this app as a way of keeping track of payments I make while on the road and away from my main computer. I had for a week and was very happy with how it worked. HOWEVER, I just got a new phone and when I opened the app, all of the data was gone. “No account found”. No worries, right? because I went to my old phone to transfer the data. NO ACCOUNT FOUND there as well. See ya!! Back to the old school way.